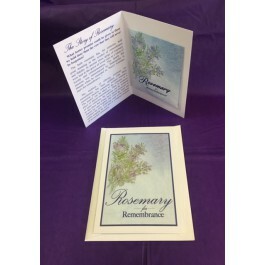 Glossy, gift-store quality Sympathy Card includes a meaningful, scented Memorial Packet keepsake. Buy one deluxe card-packet set to send separately, or include it with any of our special tribute items. 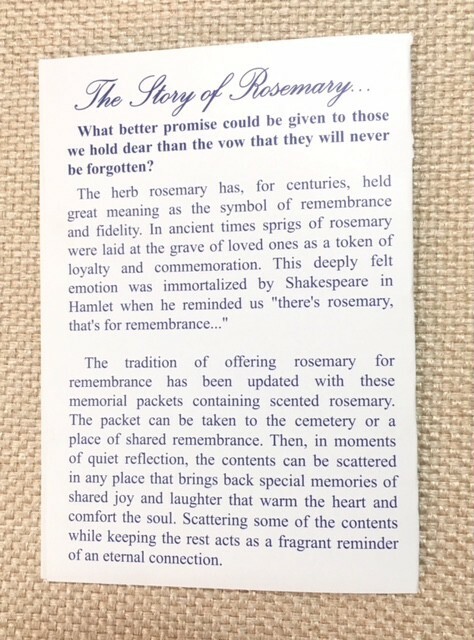 Inside of the card is printed with the history and usage of the historically treasured herb rosemary. 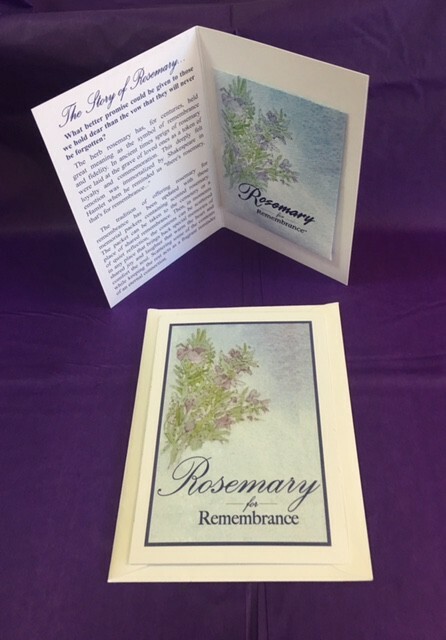 Suitable for a man, woman, family or group, this first-class Sympathy Card measures 5 1/2" x 4 1/4" and comes with a white mailing envelope.